"Have you ever lost someone who meant more to you than your own soul?" Ford Newcombe has. For years, he loved his wife, Pat, more than anyone -- and anything -- in the world. She came into his life when he was just an inexperienced college student with big dreams of becoming a published author. With love and humor, she guided him down the path that would eventually lead him to more success than he ever dreamed possible. Since Pat's death six years ago, Ford has lived a life of solitude, barely able to put pen to paper, and rumors are flying that it was Pat who actually created the books the world so loved. If there's one thing that Ford needs it's inspiration, and it finally comes in the guise of Jackie Maxwell -- a smart, sassy university researcher with just enough attitude to match Ford's sharp intellect. But it's her intimate knowledge of the story of a young woman's friendship with the devil -- and what the townspeople did to her -- that persuades Ford to hire Jackie as his assistant and to move to Cole Creek, North Carolina, where the story is said to have taken place. They soon learn that even though the inhabitants of Cole Creek try to deny it, they are still plagued by the consequences of the otherworldly tale of passion and death. As Ford and Jackie work to unravel the truth, they discover a connection between their lives and the past, a connection that not only helps them solve a long-ago crime but offers the promise of new love. I've been trying to broaden my horizon's and try new genre's. Delve a little bit more into adult fiction and not be so afraid of it. 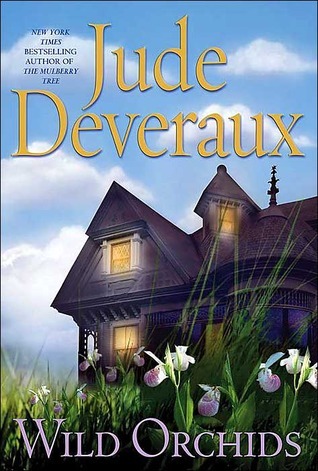 I listened to The Mulberry Tree by Jude Deveraux on audiobook and I knew I wanted to read more of his work. He's a master writer and his mysteries are so very real. I had always thought that mystery stories were like old Spencer Tracey movies or maybe Unsolved Mysteries. I didn't think I'd like them this much. But I do. Narrator Alan Nebelthau was totally believable. His voice is smooth and a little bit sultry. When his chapters came I felt at ease and I wanted to sit down and relax. Ford and Jackie get into researching an old devil story that Jackie's mother used to tell her. Ford wants to write the book. what happens is a whole lot of crazy! I'm in love with the old house they set up shop in and I felt myself becoming a part of their little world. The ending will knock your socks off. I didn't see it coming! Everything felt so real too. Just like everyday life. I'm fast becoming a Deveraux fan and I can't wait to read what's next.